Present state: The halt has been rebuilt complete with nameboard, seat and interpretation board. 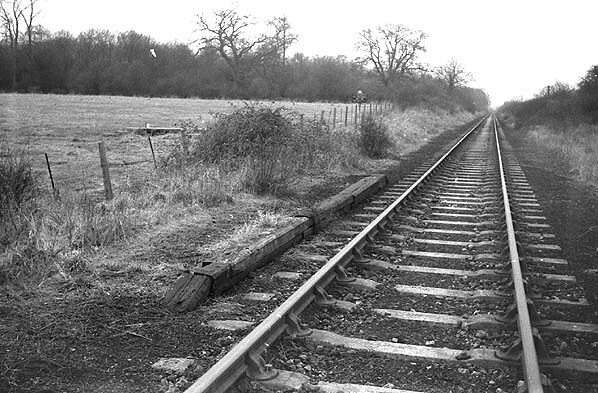 Notes: Until 1922, the nearest station was at Takeley, about 1km away. 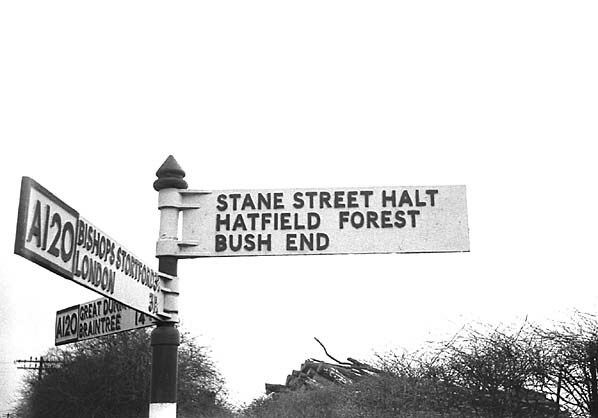 On 18 December, in an attempt to boost passenger traffic and counteract the then recently introduced bus service, a new, unmanned, request stop was added by Takeley Hill Gate, at the north east corner of the Hatfield Forest, named Stane Street Halt. This was approached by a narrow footpath just beyond the bridge over the Takeley to Hatfield Broad Oak road. 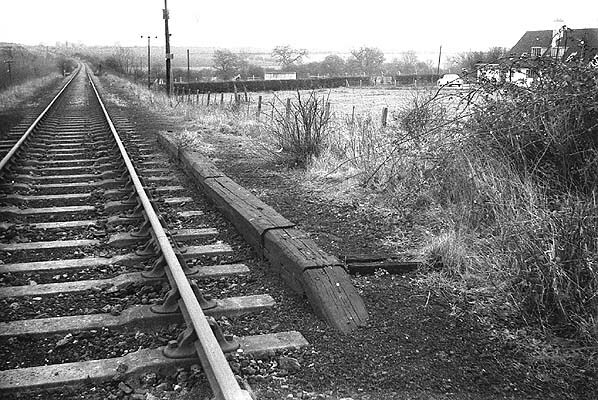 The new halt on the up side of the line consisted of a clinker platform with timber facing raised to rail level. It required specially adapted carriages. Steps were provided on each side of the third coach, with the guard lowering and retracting the steps using a lever located in the carriage. It was attended by staff from Takeley Station. Stane Street was one of two halts built by the GER in 1922. In July 2011 the Friends of Flitch Way began work to reinstate the halt. 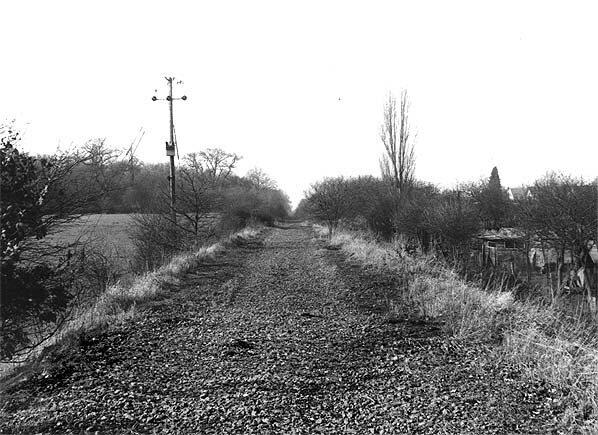 The halt is now an access point onto the Flitch Way. Much of the old track bed now forms the Flitch Way a walking and cycling path from Braintree to Bishops Stortford along the 15 mile course of the Bishops Stortford, Dunmow & Braintree Railway line. Road sign at the A120 junction in September 1968 - still in place 16 years after the closure of the halt. 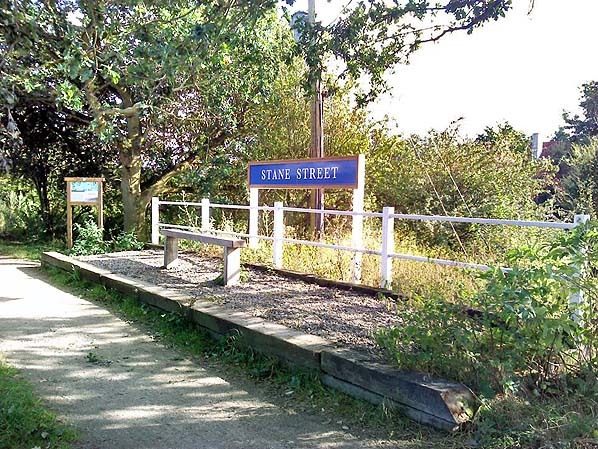 The rebuilt halt at Stane Street in summer 2014.